Oprah Winfrey accepting the Cecil B. DeMille Award at the 75th Annual Golden Globe Awards in Beverly Hills, Calif., on Sunday, Jan. 7, 2018. Oprah Winfrey for president? A memorable speech during the Golden Globes on Sunday night is fueling speculation that the popular talk show host and current 60 Minutes correspondent might be interested in running for president. According to CNN, the interest could be more than just speculation. Reliable Sources host Brian Stelter is reporting that Winfrey is "actively thinking" about running for president in 2020, according to two of Winfrey's close friends. The sources told Stelter that they had been privately encouraging Winfrey to run, dating back several months. In the past, Winfrey has repeatedly denied interest in running for president, telling CBS This Morning in October 2017, "There will be no running for office of any kind for me." 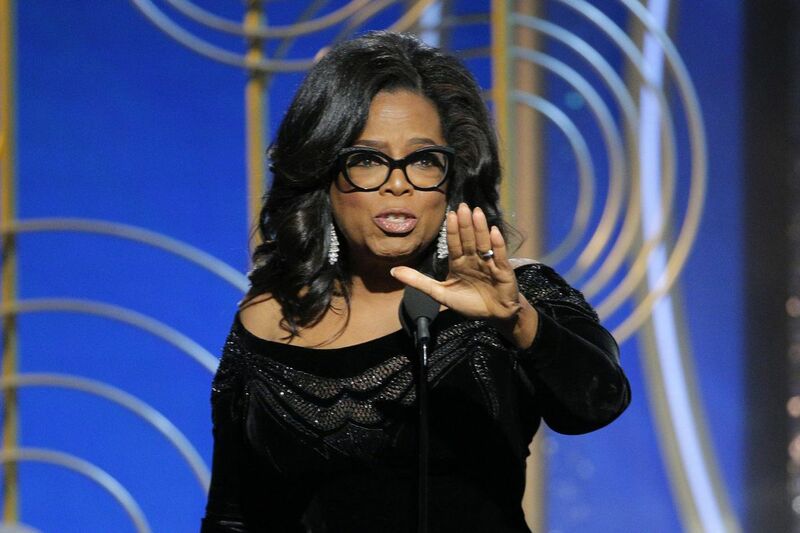 The speculation about Winfrey's presidential aspirations went viral following her emotional acceptance speech for the Cecil B. DeMille Award, in which she vigorously defended journalism and spoke passionately about sexual harassment. Her remarks, my colleague Ellen Gray wrote, "sounded like a stump speech." "I want all the girls watching here, now, to know that a new day is on the horizon," Winfrey said. "And when that new day finally dawns, it will be because of a lot of magnificent women, many of whom are right here in this room tonight, and some pretty phenomenal men, fighting hard to make sure that they become the leaders who take us to the time when nobody ever has to say 'Me too' again." NBC was criticized for sending a message from its official Twitter account during the speech declaring Winfrey "OUR future president." NBC has since deleted the tweet, blaming the post on a third party agency hired to send out social media messages in real time during the Golden Globes. "It is in reference to a joke made during the monologue and not meant to be a political statement," NBC said in a message on Twitter Monday morning. Following her speech, Winfrey's longtime partner Stedman Graham told the Los Angeles Times a presidential bid was certainly possible. "It's up to the people," Graham said. "She would absolutely do it." In light of the reaction to Winfrey's speech, Academy Award-winning actress Meryl Streep told the Washington Post she thought Winfrey had no choice but to run for president. "She launched a rocket tonight. I want her to run for president," Streep told the Post's Steven Zeitchik after the show ended. "I don't think she had any intention [of declaring]. But now she doesn't have a choice."